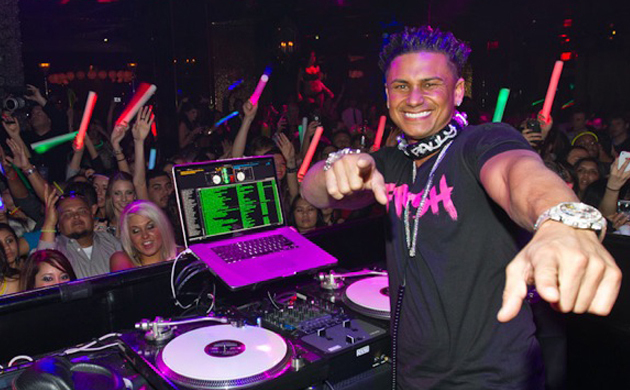 Alright, we all know that famous for nothing DJ Pauly D from Rhode Island (Not Jersey or New York) He has a Revere blow out and is so damn tanned, he looks like an oiled baseball glove. Recently I came across this footage of DJ Pauly D spinning the 1s and 2s. Being a DJ for about 15 years, there is no doubt he has no idea what he is doing. Just because you have a device to scratch, doesn’t mean you have to destroy the music you’re playing. I’m sick of these Jersey Shore talent-less idiots. I will expose you!